"If you can learn to do these things well, you can animate well." The great animator Bill Tytla, which clearly defines to understand the importance of anticipation in animation, gives this great suggestion. 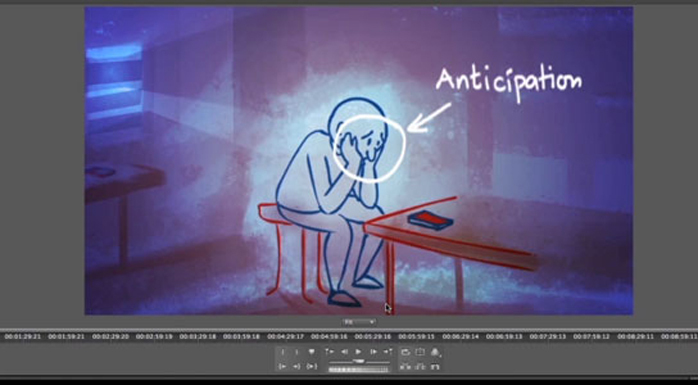 Anticipation, which is the first part of making an action while animating, communicates what is going to happen. 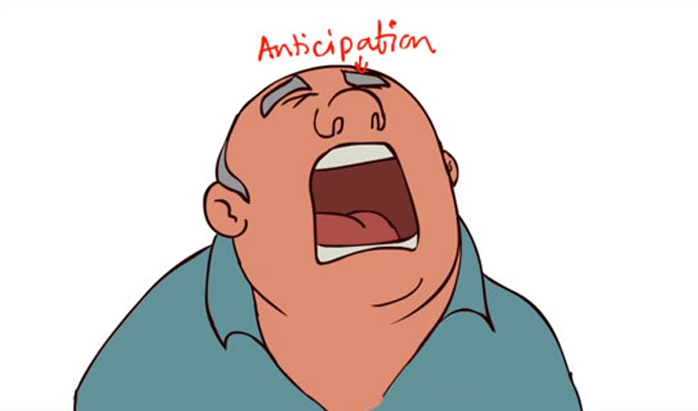 We need to emphasize on using big anticipation. The audience sees what is going to happen and so they anticipate with us. Thus, anticipation can be called as the preparation for an action. 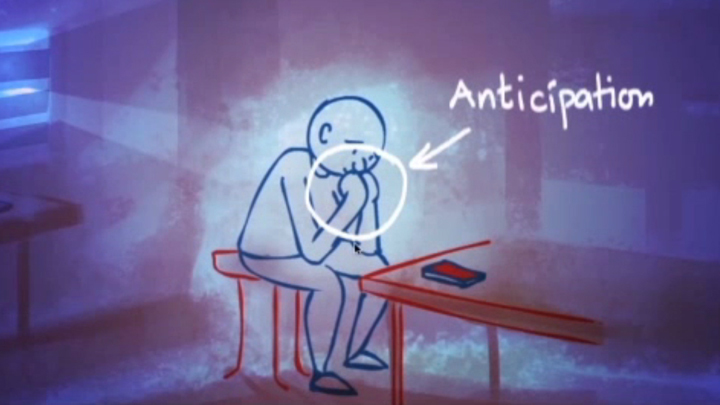 Anticipation can also create the perception of weight or mass. • The anticipation is always in the opposite direction to where the main action is going to go. • Any action is strengthened by being preceded by its opposite. • Any action can be enhanced if there is anticipation before the action. 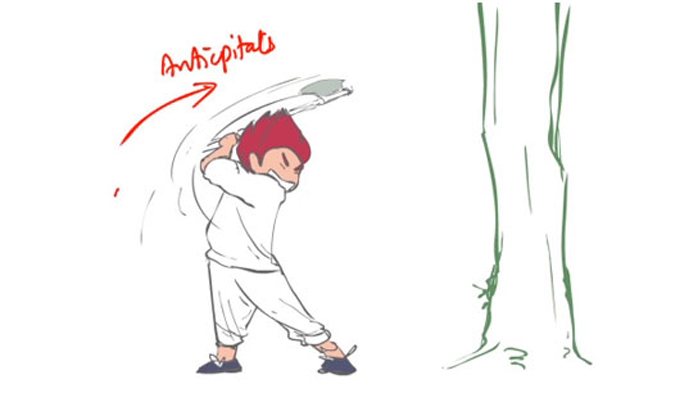 Here the character with the axe anticipates to cut the tree. Here the character anticipates a bit to sneeze, thus preparing the audience for the sneeze to come. Here the character is tensed and the anticipation helps to enhance the tension, thus bringing clarity to the action.